Patent leather shoes are always available, but they're definitely hotter some seasons than they are others. In the 2010s, they've enjoyed a resurgence in popularity with trendy brands such as the San Francisco-based Everlane and the Montreal-based La Canadienne releasing patent leather women's loafers. Even when glossy footwear isn't particularly trendy, it nearly always turns heads. Maybe it's the little girl or boy in us, but many people never really outgrew their attraction to shiny shoes -- or anything shiny, for that matter. What Exactly is Patent Leather? Although patent leather has stood the test of time, not everyone knows what this term means. 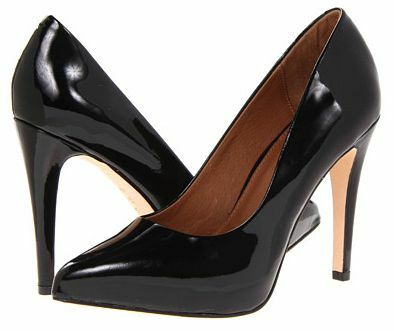 In a nutshell, patent leather is a kind of leather that has been coated with a high gloss finish. The result is exceptional shine. Many men's dress shoes are patent leather. This form of leather is often more expensive than other kinds. However, sometimes shoes that are made of synthetic materials may be referred to as having a patent finish, but they'll be labeled as just "patent" or sometimes "faux patent leather." If you want the real deal, be sure to read shoe descriptions carefully. Since the appeal of patent shoes and boots is the glassy finish, you'll want to keep them looking their best. Fortunately, they're relatively easy to care for, since all that's needed is routine cleaning and shining. But you'll want to be certain to use products specifically made for these types of materials, rather than home remedies such as petroleum jelly. Urad manufactures leather care products and has some great tips for maintaining patent leather. So caring for patent leather is simple, but wearing it can be a bit trickier. First, let's dispel a few myths. Casual shoes and boots, such as Dr. Martens, come with shiny finishes that completely rmesh with jeans and casual clothing. On the flip side, patent leather isn't necessarily the best choice for every dressy event. This is especially true for women, since the excessive shine can sometimes make these shoes seem too bulky or sturdy for very elegant dresses. Patent shoes used to be considered more of a spring or summer footwear choice, but that's no longer the case. In these "anything goes" times, those of us who like a little extra polish are free to get our shine on whenever the mood strikes us.